Everyone loves TED videos, including me. Inspiring, innovative ideas that just make you want to do more. But one of the problems with these types of talks and events is that they often leave us hanging: where is the practicality? What can we do when we get back to our real lives? It's an argument I have made in a number of conference planning sessions over the past couple of years: once we fire up the audience, what happens when they go home? What actions, challenges, tasks or tools should we provide them in order to action what they hear at our event? 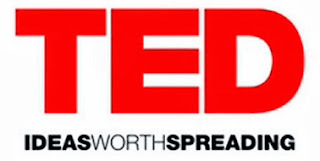 TED-style events are hugely inspiring... when you're there. Which is why I particularly love this TED video from Benjamin Bratton, Associate Professor of Visual Arts at the University of California who took advantage of his speaking opportunity at TEDxSanDiego to call out the problems with TED. He's snarky, funny and most of all, right. If there's any TED talk you should listen to, it's this one.